You might be forgiven for thinking that once you become a refugee in a refugee camp, life stops. However, it goes on, with people needing to live and work and some even starting their own businesses – and to do that they need money. Mobile money. Banking the unbanked has long been a growth area for the telemedia and telecoms sectors and this is now moving – with the backing of the UN – into refugee camps, particularly in Rwanda, as both the Rwandan government’s Ministry of Emergency Management and United Nations High Commission for Refugees (UNHCR) see distinct benefits in banking the unbanked in camps. The drive is clear: to make refugees as self-reliant as possible and to try and start the refugees’ road to a new life as one with some degree of financial stability and independence. Digitising humanitarian cash transfers has much appeal for humanitarian organisations. Electronic transfers have the potential to offer a faster, more secure and more transparent means of getting help to those who need it, compared to a physical cash equivalent. An added benefit of delivering funds electronically to beneficiaries through a mobile money provider is that this opens up opportunities for financial inclusion, whilst simultaneously boosting local markets by encouraging spending at merchants. 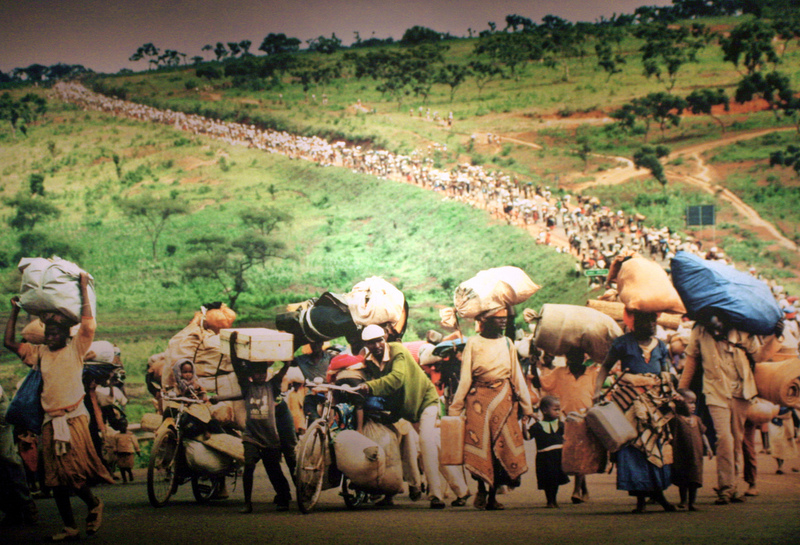 As a result, the Rwandan government and UNHCR hope to make refugees productive. So what is happening? The Rwandan government, working with the UNHCR, have invited telcos and financial institutions to offer their services – and to create bespoke services for this very specific market – aimed squarely at refugees. It will boost efforts to graduate some 18,000 camp-based refugees from food and/or cash for food assistance programmes and providing access to formal employment opportunities for up to 60,000 refugees. Amit Chawla, the Airtel Chief Executive Officer tells The New Times, a leading Rwandan English language newspaper, that: “We are going to provide an infrastructure to facilitate ‘pull and push’ functionality for refugee clients. We are therefore proud to be part of this project that will serve a unique segment as we continue to ensure innovation and inclusiveness”. Roselyne Uwamahoro, Head of SACCO’s and Savings Groups at Access to Finance (AFR), also explains that the project will start with developing and offering two types of loans; digital consumption loan (little amount) and light touch loan for small scale businesses. She further said that loan officers will be visiting the camps to carry out financial and non-financial assessment of the businesses in order to determine their credit worthiness. In addition, financial institution and telecom firms will be encouraged to carryout financial awareness campaign as well as offering business clinics to refugees. The move is one of only two – Uganda has done something similar with refugees in 2017 – but showcases how mobile money and technology can be used as a force to change the world. The GSMA set out the scope to do this in a 44-page report, “Humanitarian Payment Digitization: Focus On Uganda’s Bidi Bidi Refugee Settlement” which shows just how MNOs and associated players can leverage what they do to bring services to the most underprivileged in the world and builds on extensive work being done by Telemedia companies in Africa. And it works. In Uganda, Ugandan MNOs have dedicated substantial resources to expand and upgrade their infrastructure in Bidi Bidi refugee settlement to provide reliable connectivity, and to achieve the enabling environment necessary (robust agent networks, sufficient liquidity, training and customer service provisions) for successful humanitarian cash transfer projects, says the GSMA. Mobile money is a heavily OPEX-centric business, with constant investment necessary to maintain a readily available and highly liquid network of agents that perform cash-out for customers. Additionally, NGOs in Uganda have committed time to navigating fast-moving regulatory environments and iterating projects along the way. Furthermore, development agencies, such as the United Nations Capital Development Fund (UNCDF) have provided financial, operational and technical support to mobile money providers seeking to expand their businesses into more challenging locations. FINNCLUDE– the organisation set up to promote financial inclusion through mobile payments and mobile fintech – backs the Rwandan move and is keen to get all players involved.